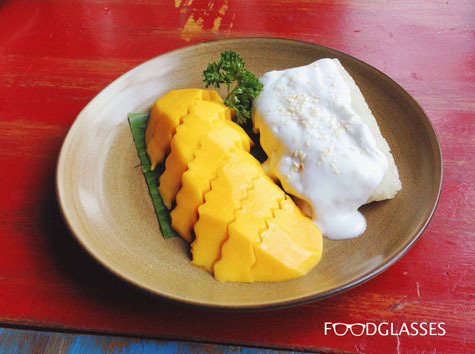 If someone ask me "Do you have to travel to Thailand to taste the real authentic Thai food? ", I'll answer no (unless you really want to travel). Why? 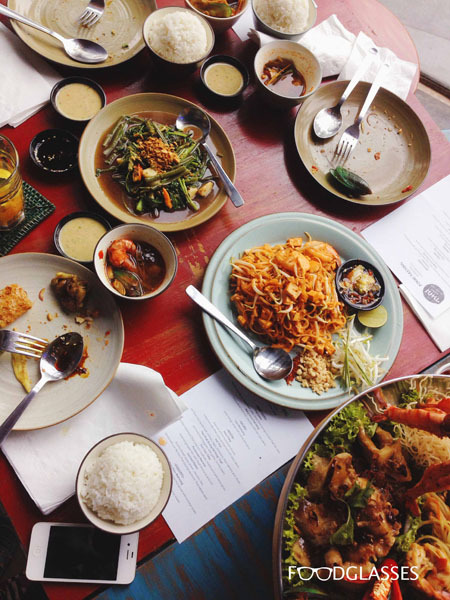 The answer is simple, Thai Alley is here to satisfy your craving for authentic Thai food. 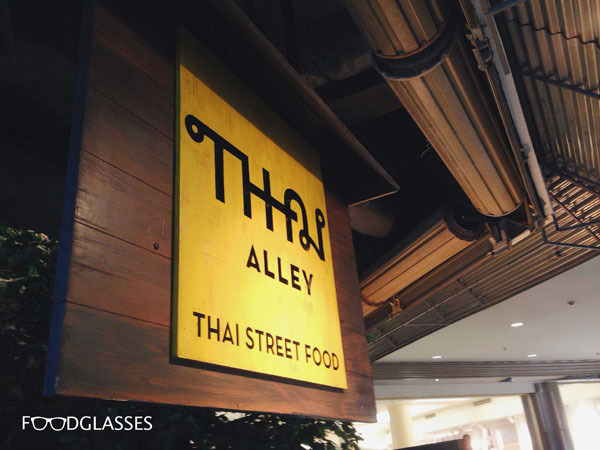 Not only they bring authentic Thai food to you, they also create Thai street atmosphere in the restaurant just like the name 'Alley'. 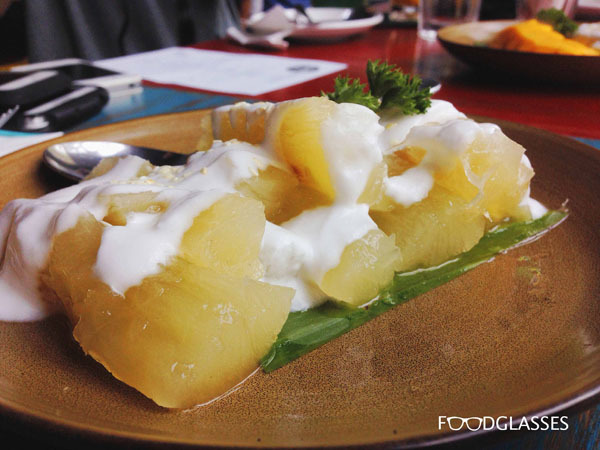 So, I was invited to a food tasting event by Thai Alley last Saturday in Gandaria City. 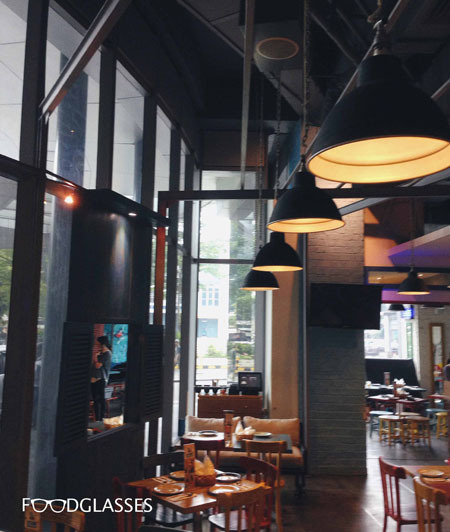 Thai Alley is one of the restaurants under Culinary Concepts group. 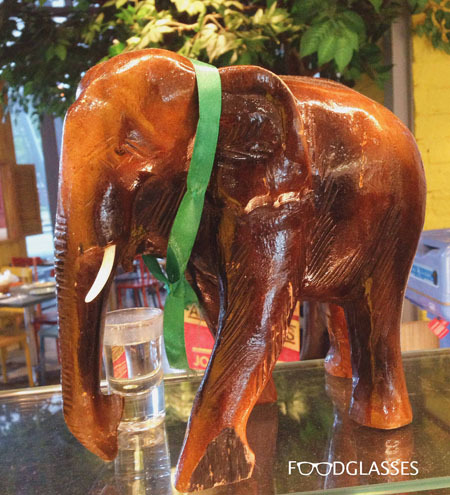 They deliver Thai street ambiance with colorful wooden decoration for the setting. 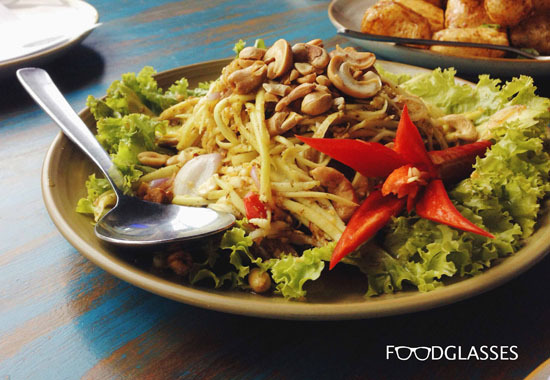 Committed to serve the authentic Thai cuisine, Thai Alley brings native Thai chef with the group. I was really excited to hear that and couldn't wait much longer to taste the foods from their very own Thai chef! 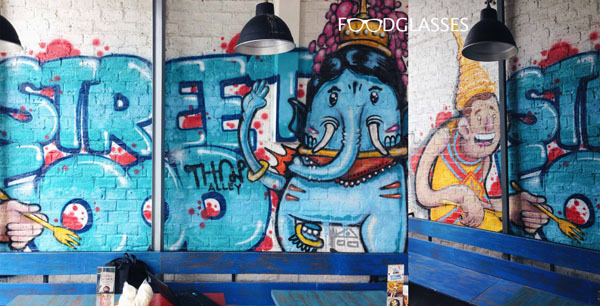 Before we were served by Thai Alley's top lineup of foods, I roamed around the restaurant to take some pictures, they have wooden decorations, as I said before, and cool grafittis. Oh, have I mentioned about the lighting here? Since the restaurant is placed at the lobby, its outer side is all covered with glasses allowing the light to burst naturally inside, just beautiful. 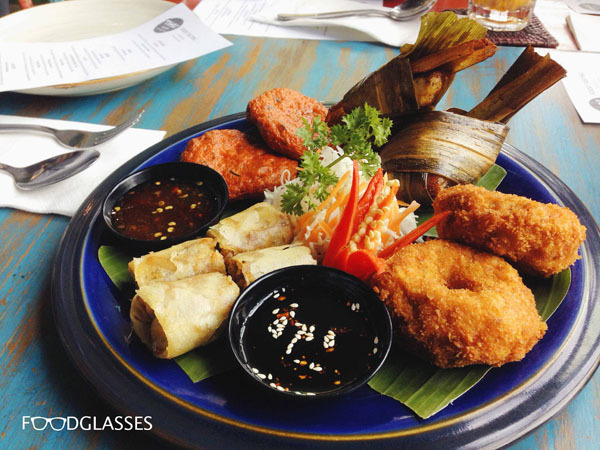 Now it's time to taste all the Thai delicacies! :D. More decoration pictures below. This was the welcome drink. 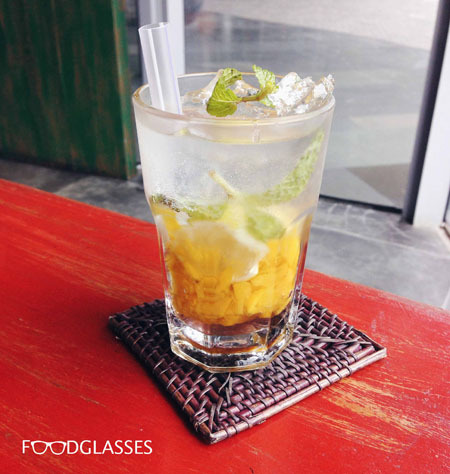 A fizzing Thai mocktail that includes peach chunks, lime, mint leaves and lavender syrup topped with soda. 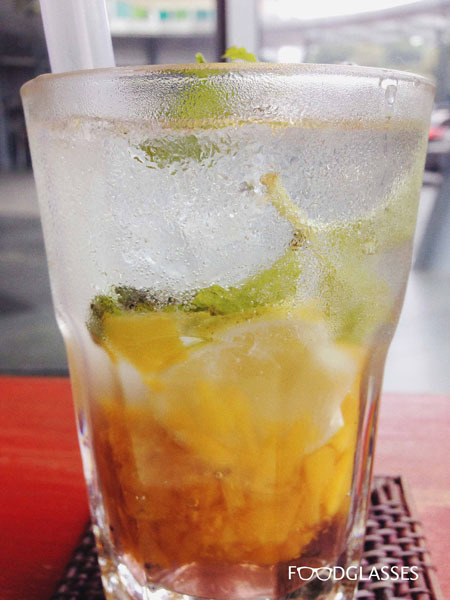 This Rayong drink was very refreshing, the mix between lime, mint leaves and lavender syrup made a unique taste along with the peach. This had a generous amount of peach and the color was somehow really cool overall. This was one of my favorites! Crispy dried beef skin crackers (aka kerupuk kulit!) with tom yam paste. 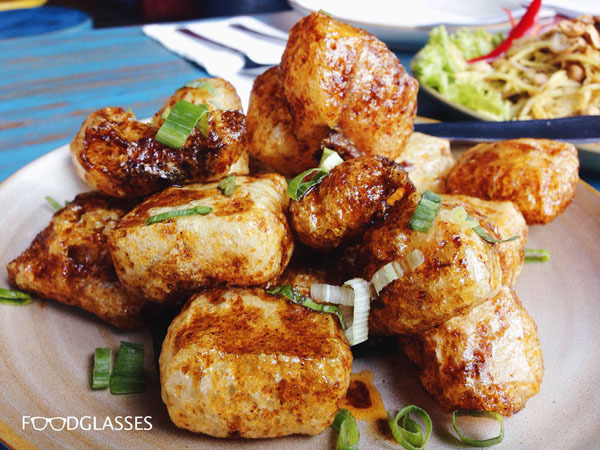 The crackers turned golden brown because they were glazed with tom yam paste and sprinkled with chives, an irresistible look. 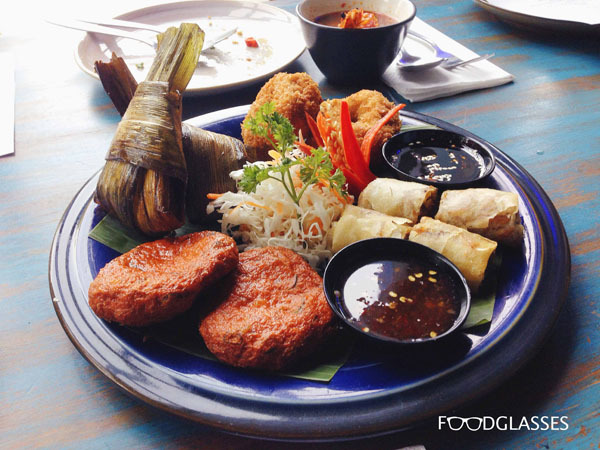 The crackers were crunchy like the ones we usually eat but it was the tom yam paste that made this dish a winner. 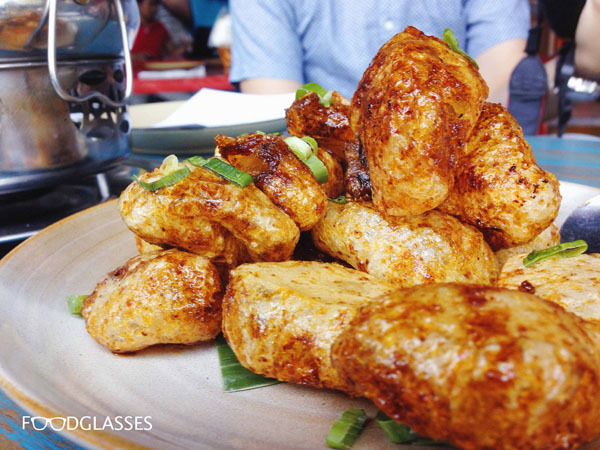 The strong, a bit spicy flavor just couldn't get away from my taste buds. I've posted this on my Instagram! Can't get enough of this! 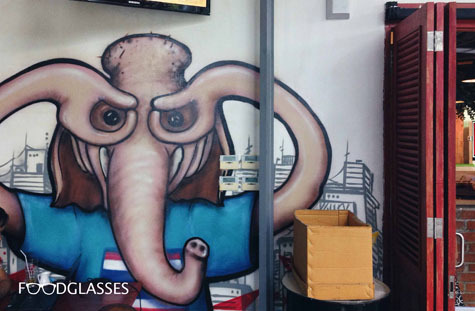 What's the meaning to go to Thai restaurant without having Tom Yam? It's a mandatory menu for all of us. This was one of the main dishes that I tried. 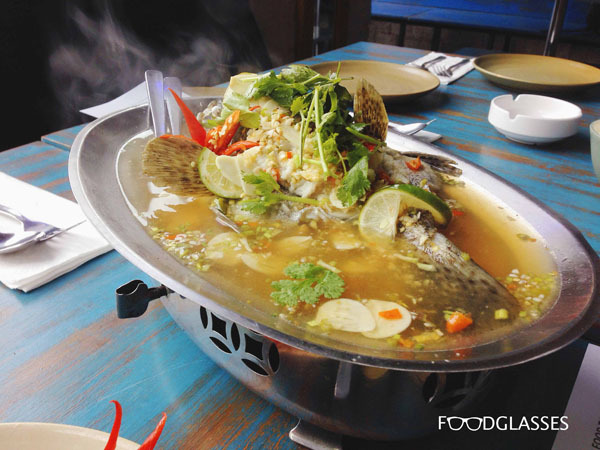 Jumbo traditional Thai soup in a steamboat. 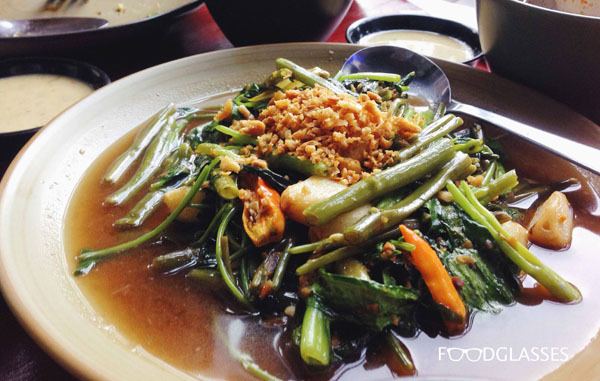 Inside there were seafood, mushroom and lemongrass. When I first took a spoon of the soup, it tasted really breathtaking! 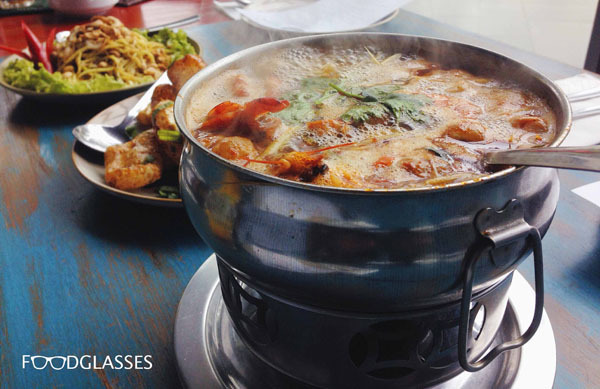 Honestly, this was one of the best Tom Yam in J-town. 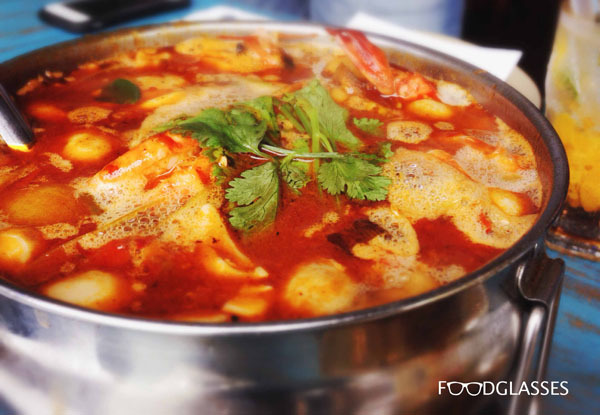 The herbs and spices really showed up their strong flavor, the seafood and mushroom were also fresh like the other dishes. 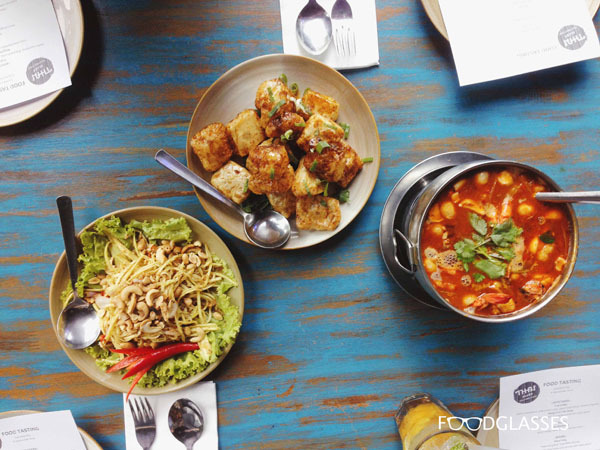 But at times, the soup can be a bit too spicy, just take your time if you want to enjoy this :). This was one of two new menu from Thai Alley. 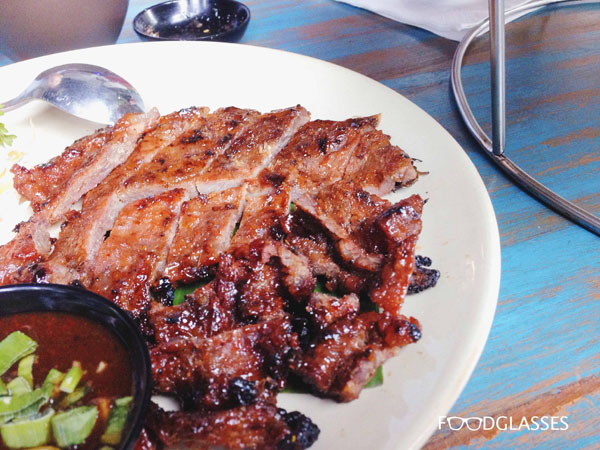 I was pretty lucky to try these dishes before they're listed on the menu book. 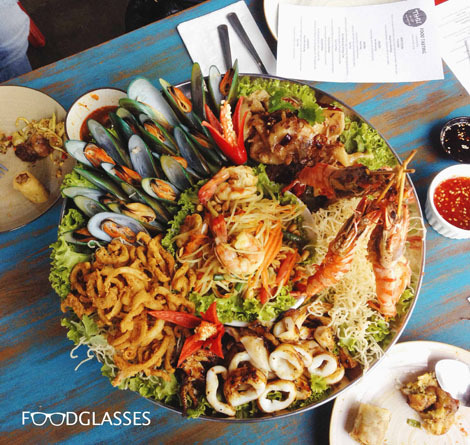 This huge platter consists of freshly picked squid, prawn, mussels, fish and served with famous Thai dipping sauce and Thai papaya salad. The fried fish was my favorite here, so tender and its own sauce was unique in flavor. The others were okay and it was interesting to see the prawns displayed creatively. This is....SPARTA eh, SEAFOOD FEAST! Thai Starter was the other new menu that I tried. Like the name, this dish is classed as an appetizer. 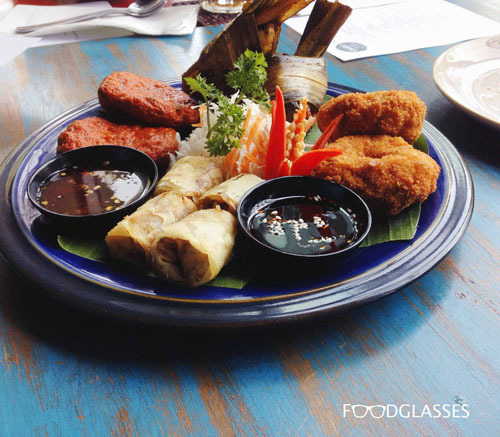 A complete Thai Starter set consists of chicken pandanus, Thai prawn cake, deep fried spring roll and Thai fish cake. The spring roll and prawn cake were nice, crunchy and tasty. The other two, which were chicken pandanus and fish cake were my favorites! Although didn't much appealing, the fish cake was scrumptious and soft as well as the chicken pandanus that was marinated and wrapped with pandan leaves. The aroma oozed nicely. The joy was completed with the dipping sauce, it was really good and gave a bold taste to the starter. 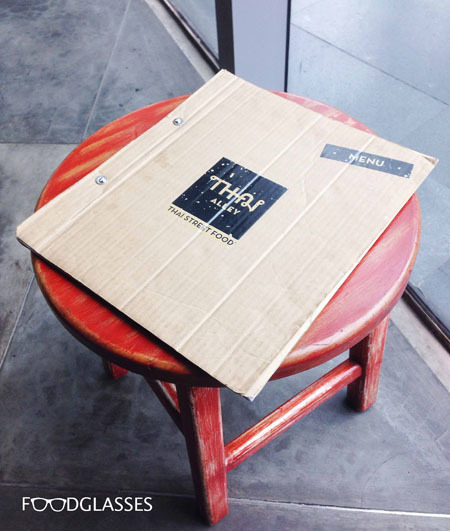 Exciting new menu by Thai Alley! 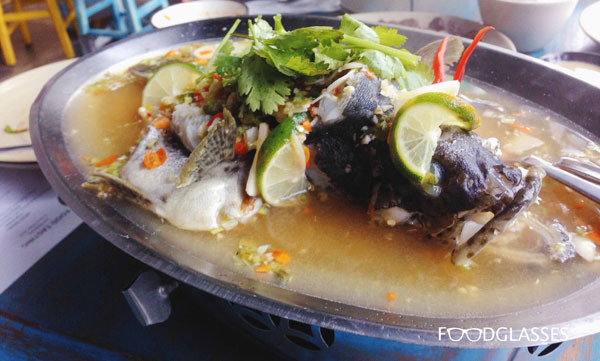 Steam whole grouper fish with fresh lime juice and chili. I must say this was too the best one I had. Again, the fish was fresh and so delicate. The combination between the herb and spices was absolutely jaw-dropping. 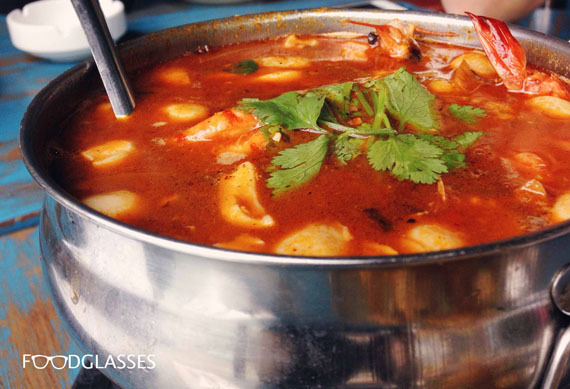 But like the Tom Yam Talay, it was a bit too spicy and strong in taste. It could be tolerated though. 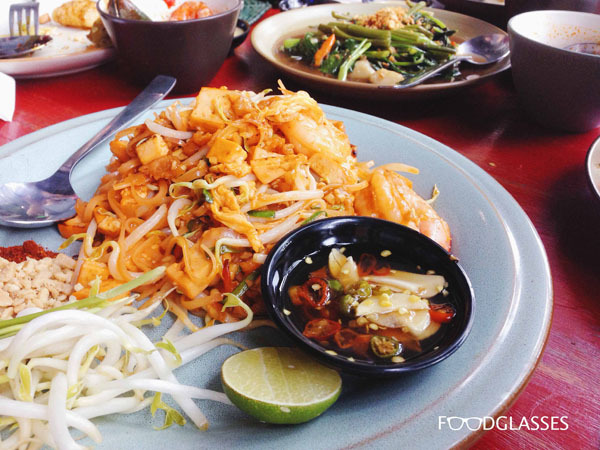 Thai char kway teow I can say. Yap, the appearance was totally like char kway teow. 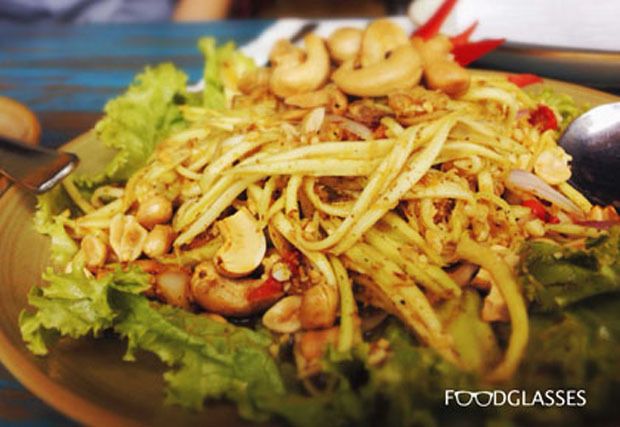 It had shrimps, eggs, tomatoes, bean sprouts and chives all together in it. I couldn't compare directly between these two, but Cantonese char kway teow is a little bit tastier. 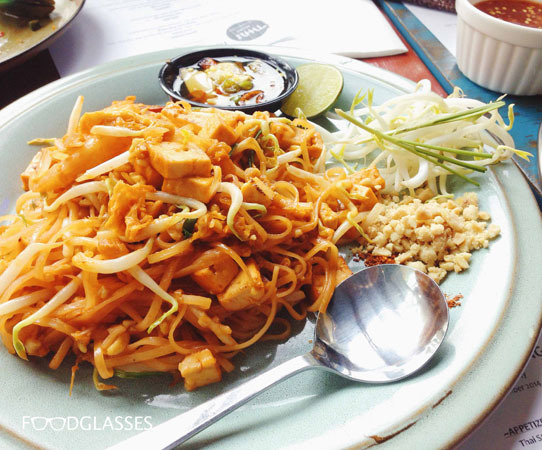 Pad Thai is brighter with less soy sauce and pushes the Thai seasoning to take more part in the dish. Not the extraordinary one, but the simpleness still gets me :). 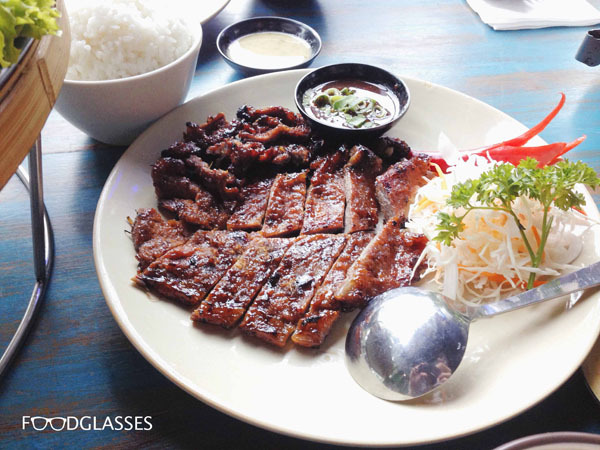 Charcoal grilled Australian rib eye, seasoned with Thai herbs and served with spicy sauce. 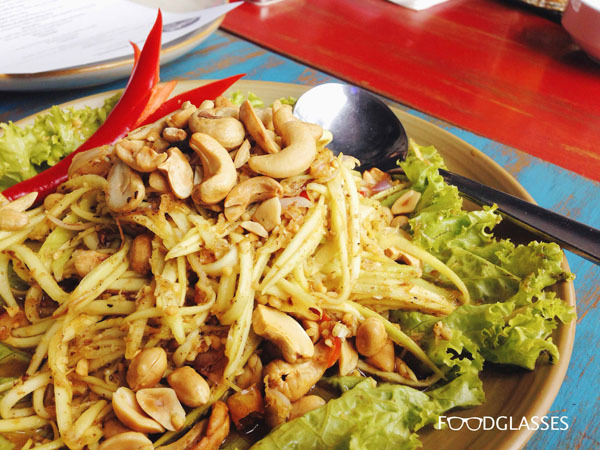 Another international dish that was brought in with Thai style. It looked juicy and appealing. The rib eye was tender and the herbs really oozed out. The sauce, like the other dish, made this even better. Yet I was expecting more from this Neua Yang. 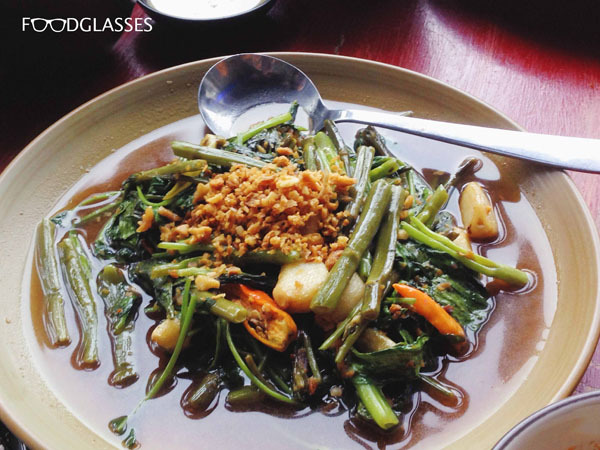 Stir fried morning glory with garlic, topped with fried garlic. Old fashioned but never gets old. 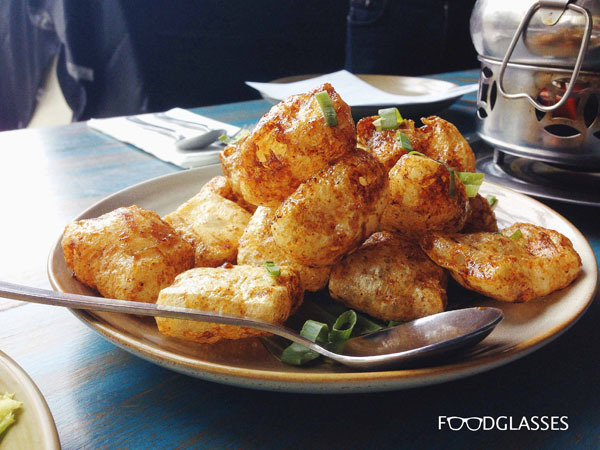 Love the taste, it was tasteful and the fried garlic strengthened it. But I think it's kinda pricey :'(. Finally dessert time! We had two desserts. 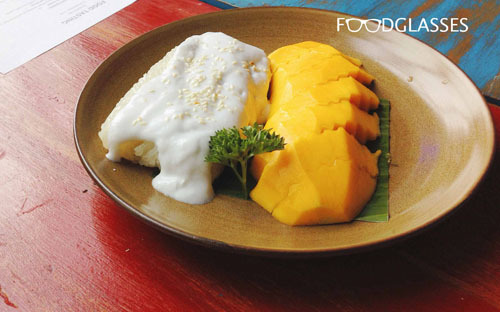 The first was Thai mango and organic glutinous rice served with coconut cream. 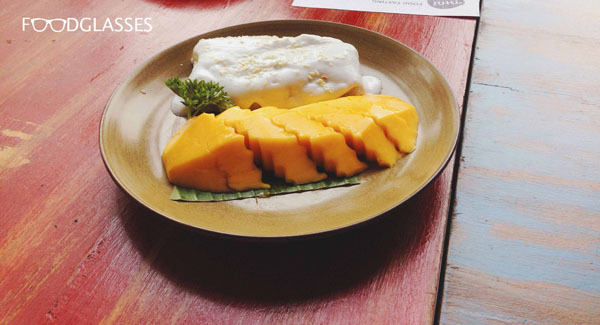 The second one was Man Cham, sweet tapioca topped with coconut cream. Simpler than the first one, yet it was the one that caught my attention. The sweet tapioca was juicy and sweet (You don't say! But it is sweet!). 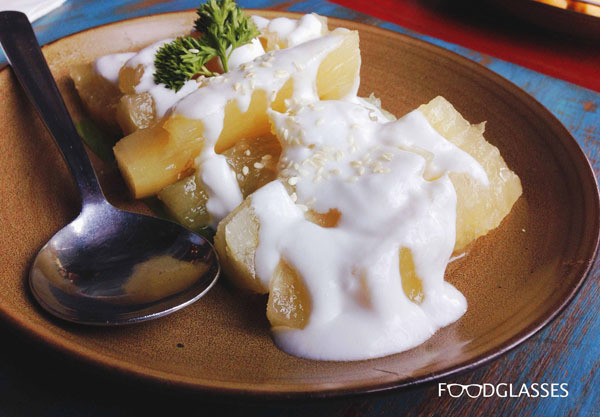 Poured with the same coconut cream and sesame seed, much delicacies in it. More pictures as I promised before :). 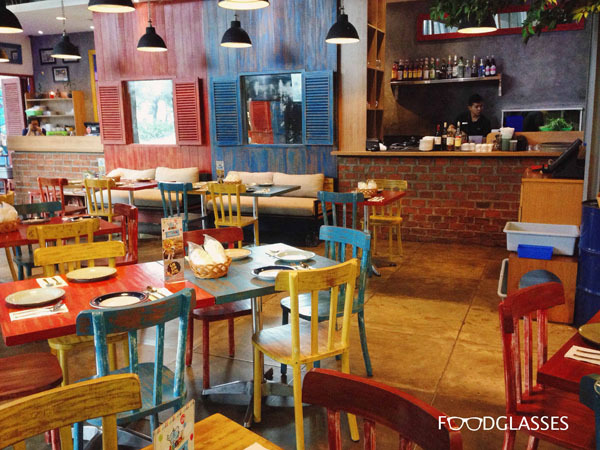 Overall, I had a great time and great food here. 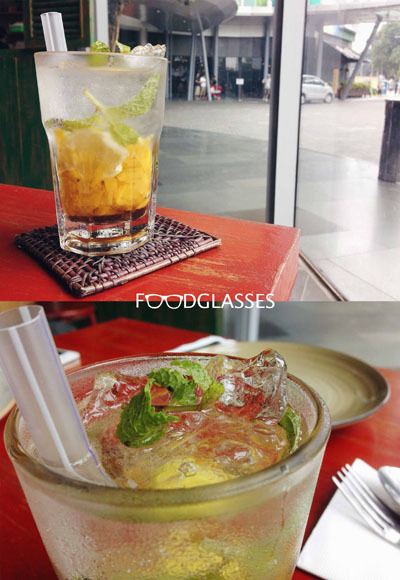 The ambiance of Thai street was very well depicted and lovely. 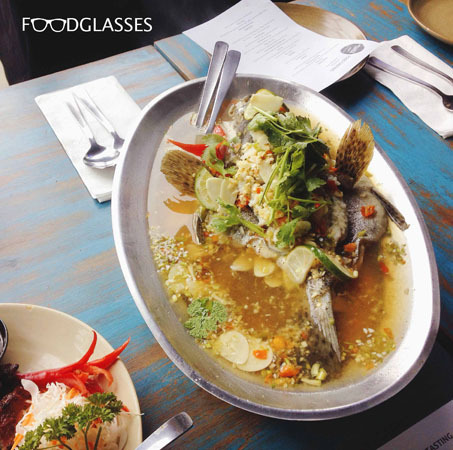 Most of the dishes were very authentic and tasted very well, great to have them from Chef Charoen Phranom. Big big thanks to him for delivering such great dishes. But for me, some of the food are overpriced :(. Closing words, grateful for the experience and for Thai Alley for having me. 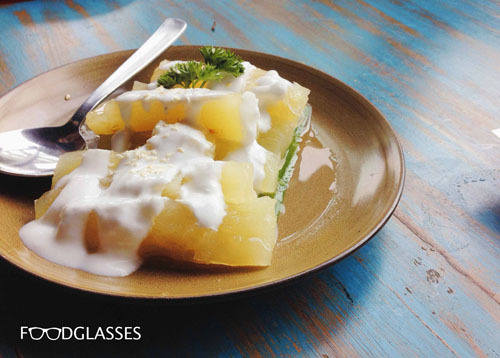 The Foodglasses © 2015. Simple theme. Powered by Blogger.